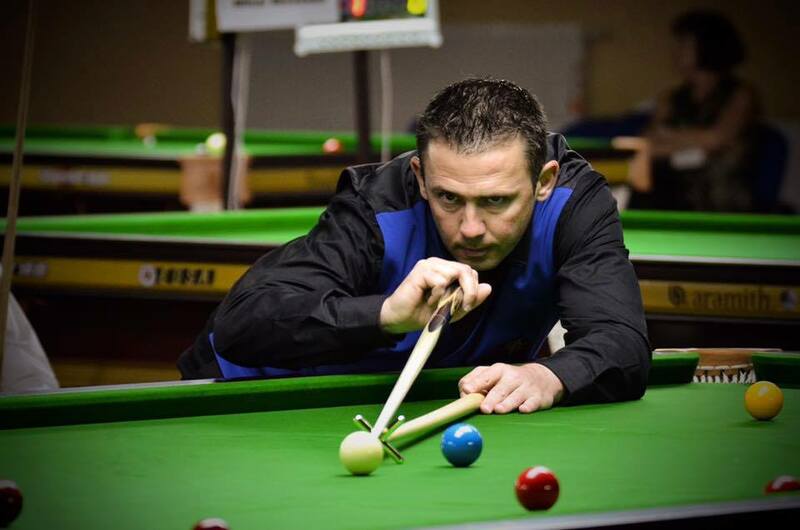 While the professional circuit is more dynamic than ever, snooker is struggling in France. Former French champion, French cup winner and French number one Stéphane Ochoiski gives us his views. Vox Stadium : Stéphane, how is snooker in France? Stéphane Ochoiski : The situation of snooker in France is quite dramatic. Despite a slight increase recently, the number of players is about 400, compared to 1000 few years ago. VS: How do you explain it? SO: There are a lack of volunteers and dynamism. Plus the closing of snooker rooms, which means a scarcity of tables in France. VS: The picture is bleak, but there are solutions? SO: Yes of course. First, many snooker tables found in commercial places have disappeared. This system does not work anymore. We must create associative snooker rooms. In particular, carom clubs could open to snooker, but also other billiard sports, as is already the case in some mixed clubs. VS: Snooker is the least practised cue sport in France, yet it is the most publicised. It’s paradoxical. SO: Indeed – through the coverage on Eurosport, where it figures prominently among the most watched sports, snooker is the showcase of cue sports and it is necessary to rely on this to develop snooker in France. VS: Countries such as Portugal and Poland, which are not deemed to be snooker lands, now hold European Tour events. Why not in France? SO: This has not been done so far, but to organise a pro tournament or an amateur championship must be a priority to achieve the development of snooker in France. A sponsor is needed, but the investment can be profitable because of the significant amount of exposure on Eurosport. VS: You are now a certified coach with the French Cue Sports Federation and European Billards and Snooker Association. The coaching of young players is particularly close to your heart. Will this help at grassroots level ? SO: Of course, training in the clubs is essential, along with introducing snooker to young players. For example, in my city of Saint-Avold, I brought snooker into school. We must give the opportunity for young people to play this sport. Initiatives of this kind are unfortunately still isolated, but are nevertheless necessary. I also organise coaching sessions – from beginners to advanced players – throughout France. VS: The recent World Cup of snooker was played without France. Do we have a chance to see a French team at the next World Cup in two years? SO: France could not participate due to a lack of players ranked on the European Tour circuit. I hope that this will no longer be the case for the next World Cup and that we can present a French team. If a French player managed to get a medal at an international amateur championship or reach professional level, then the level of snooker in France would inevitably be pulled up. VS: In this respect, is it possible to have a French professional player in the years to come? SO: Yes, definitely. We currently have young talents like Niel Vincent, Nicolas Mortreux, Brian Ochoiski and others who have the potential to become professional. But the French Federation of cue sports needs to build a strategy to help them to achieve this goal. Training centres for all games, not only snooker, are lacking in France. VS: Cue sports will not be a part of the Olympic Games in 2020, you’re obviously disappointed. SO: Billiard sports are internationally popular and have a place among the Olympic disciplines. If this becomes reality and if Paris hosts the 2024 Games, it would be an incredible opportunity to develop and structure snooker in France around this event. VS: On a personal level, you recently came back from Prague with a quarter-final place at the European Championship, are you satisfied with your performance? SO: I’m not satisfied with it, as my goal was to get a medal. But I will return, and after three failures in the quarter-finals, I will ascend to the European podium. VS: Finally, what do you think of the arrival of a new player like Vox Stadium in the media coverage of snooker in France? SO: I think it is good for snooker in France. It is very interesting that sports websites like yours are interested in sports such as snooker.